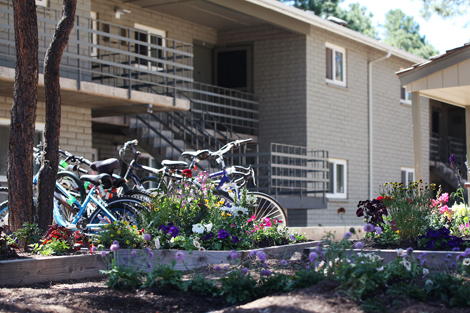 A declining demand for family housing coupled with record enrollment at Northern Arizona University is driving a transition for South Family Housing into a blended community of families and single students, beginning this fall semester. This community model is common among universities that house family residents on campus, said Alicia Voytek, associate director for Housing and Residence Life. New upper-division transfer, graduate and international students will move into the complex at the end of August to join continuing family residents. With this change, South Family will be renamed to South Village Apartments. Campus data systems and maps will begin to reflect the new name beginning next week. The street address for South Village Apartments is 2500 Huffer Lane S., Flagstaff, AZ 86001.